There are lots of other great lakes and mountains destinations including resorts in Austria, Germany, Norway, Slovakia and the many others. However a holiday in the Italian lakes offers Lake Garda, one of the most stunning and famous lakes in the region. 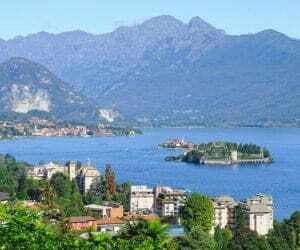 Not only can you stay around the lake but also have access to the wonderful city of Bergamo, Lake Maggiore, St Moritz, local markets and all set in one of the most scenic settings you could imagine. Perhaps you could take a day trip to Venice and enjoy a gondola ride around across the great canal. An Italian lakes holiday offers so much and getting there is surprisingly easy. There are all inclusive coach holidays to Italy that offer 9, 16 & 17 day holidays. You can also travel by air from a number of UK airports. 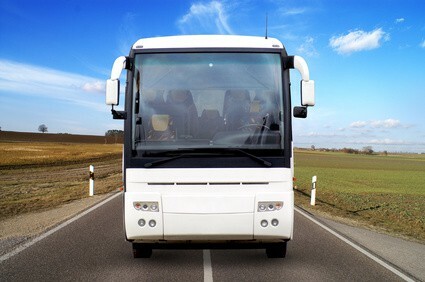 However you won't get the same experience unless you travel by coach through all the beautiful scenery through Europe. All you have to do is sit back and relax! There are lots of coach holiday joining points to choose from throughout the UK. Coach tours to Italy are offered by a number of coach holiday companies so you will have more choice than you think. Shearings holidays Europe range includes all inclusive hotels in Lake Garda and Lake Como. Leger Italy holidays include Lake Garda, Lake Como & Lake Maggiore. 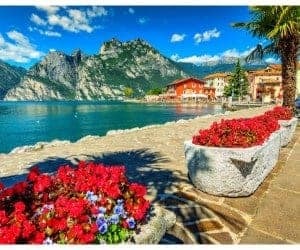 Alfa Travel offer coach holidays to Lake Maggiore and Just Go Holidays also offer a coach trips to Italy with holidays that combine Lake Garda & the Austrian Tyrol. Just Go Italian holiday options include lakes and mountains coach holidays and holidays by air to Venice and tours of Italy and hotel holidays in holiday resorts like Sorrento. Shearings lakes and Mountains holidays to the Italian lakes offer all inclusive hotels in Lake Garda and Lake Como. The all inclusive hotel packages usually include drinks from early in the morning to around midnight. This includes local spirits, wines, beer, soft drinks and tea and coffee. Check the holiday description to see what is included for your chosen hotel before you book. There are also options to upgrade the all inclusive deal, again check the Shearings holiday description for details. Includes excursions & trip to Venice. Includes Venice & Verona and Lake Garda on the one trip. Obviously a trip to Lake Garda or one of the other lakes won't be complete without the obligatory boat trip. There are a few options from 1-4 hour trips or even a sunset trip. Some of the trips will take you to to another part of the lake and give you time to explore another town such as Salò. Plus you get to enjoy the magnificent scenery on the way there and back. Look out for sights such as the Punta San Vigilio, the Caves of Catullus, the medieval castle and more. Plus you will see some of the great beaches along the shoreline of the lake. Some of the Lake Garda coach holidays will include free or optional extra excursions. If not then don't worry as there are plenty of trips you can take on your own. There are usually day trips available to Verona, Venice & the Dolomites. Plus some shorter trips, including a visit to Madonna della Corona Sanctuary. Palazzo Borromeo is a popular attraction with it's beautiful gardens, great views over the lake and general setting. The palace itself is also worth seeing. The Botanical Gardens Of Villa Taranto offers over 15 hectares with thousands of plants, ideal for a 1-3 hour stroll. Lungolago Arona is just a short walk from the train station. There are great views and on a clear day you can see the Alps. Piazza della Chiesa offers great views from the beautiful and historic church built for Caesar. Mottarone Cable Car is a perfect choice if you like a good view. You could also take the chair lift and carry on for a better view. Enjoy a drink at the cafe and the spectacular views. Again the day trips from Lake Maggiore are similar to the ones from Lake Garda and Lake Como. So you can combine your stay at Lake Maggiore with a visit to Venice or Verona.